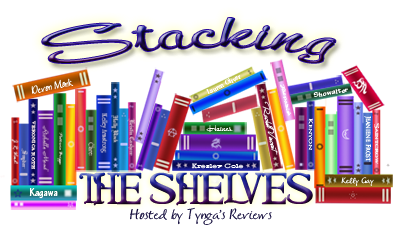 Stacking The Shelves is all about sharing the books you are adding to your shelves. This means you can include ‘˜real’ and ‘˜virtual’ books (ie physical and ebooks) you’ve bought, books you’ve borrowed from friends or the library, review books, and gifts. 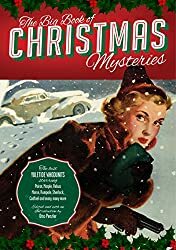 Here, for your yuletide reading pleasure, are the collected crimes of Christmases Past and Present: sixty classic Christmas crime stories gathered together in the largest anthology of its kind ever assembled. And its an all-star line-up: Sherlock Holmes, Brother Cadfael, Miss Marple, Hercule Poirot, Ellery Queen, Rumpole of the Bailey, Inspector Morse, Inspector Ghote, A.J. Raffles, Nero Wolfe and many, many more of the world’s favourite detectives and crime fighters face unscrupulous Santas, festive felonies, deadly puddings, and misdemeanors under the mistletoe. 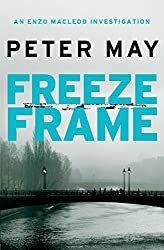 Almost any kind of mystery you’re in the mood for – suspense, pure detection, humour, cozy, private eye, or police procedural – can be found within these pages. 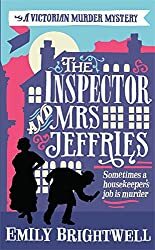 Includes stories from (many of which are difficult or nearly impossible to find anywhere else): Arthur Conan Doyle, Robert Louis Stevenson, Thomas Hardy, Isaac Asimov, Sara Paretsky, Ed McBain, Agatha Christie, Ellis Peters, Mary Higgins Clark, H.F Keating, Donald E. Westlake and John Mortimer and more. I couldn’t resist getting it! Some of the authors are familiar to me, some I’ve heard of and some are completely new-to-me. I hope to read some before Christmas. A promise made to a dying man leads forensics ace Enzo Macleod, a Scot who’s been teaching in France for many years, to the study which the man’s heir has preserved for nearly twenty years. The dead man left several clues there designed to reveal the killer’s identity to the man’s son, but ironically the son died soon after the father. So begins the fourth of seven cold cases written up in a bestselling book by Parisian journalist Roger Raffin that Enzo rashly boasted he could solve (he’s been successful with the first three). It takes Enzo to a tiny island off the coast of Brittany in France, where he must confront the hostility of locals who have no desire to see the infamous murder back in the headlines. An attractive widow, a man charged but acquitted of the murder–but still the viable suspect, a crime scene frozen in time, a dangerous hell hole by the cliffs, and a collection of impenetrable messages, make this one of Enzo’s most difficult cases. I’ve enjoyed Peter May’s Lewis Trilogy. I hope this works well as a stand alone book as it’s the fourth Enzo Macleod book and I haven’t read the first three. Emily Brightwell is a new-to-me author. I thought I’d see what this one is like. Well, given the price I might just download the Christmas stories myself, even though I’m not that fond of short stories. There are some authors here I would like to sample before trying their longer work. Oh I do like the look of the Big Book of Christmas Mysteries!